Ideally situated below the crest of a drumlin that shelters the house from the northerly elements, Castle Grove is located adjacent to Drongawn Lough, north of Letterkenny, Co. Donegal. The Grove family were present on the estate since the late seventeenth-century. 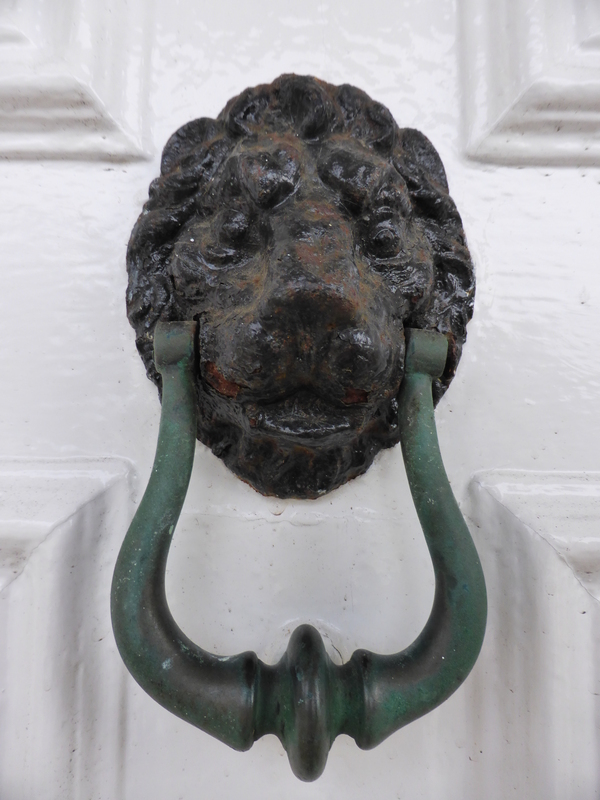 It is reported that a house was built in 1695 to replace one burned in a siege in 1690. The extant facade exhibits the manner of the 1740s though; an adaptation of a townhouse in scheme with plain facade and ornamental doorcase. 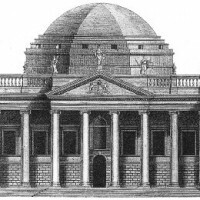 The plan too resembles a townhouse layout; a square entrance hall opens onto a staircase to the north flanked on the east by two large reception rooms, and on the west by another. The main house is three bays wide and two storeys tall. 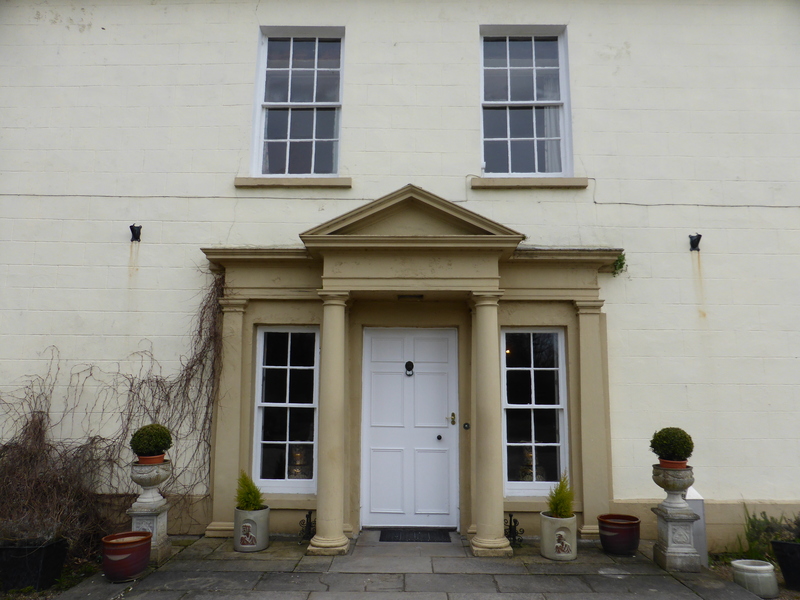 The tripartite doorcase is of the Doric order in which the free-standing columns work to support the unadorned pediment above, whilst engaged pilasters form ranks on the wall behind. The sash windows – which are still in working order – are of the mid-late eighteenth-century type, having a thin glazing bar and no joggle or sash-horn. Much of the glazing has also survived from the eighteenth-century and was made using the cylinder process; a cylinder was formed, elongated, and opened out into a sheet – hence circular bubbles within the material became elongated ovals in the flat sheet. The windows on the first floor also reveal the interior decoration, having sacrificed the top window pane to the deep coving running around these rooms. 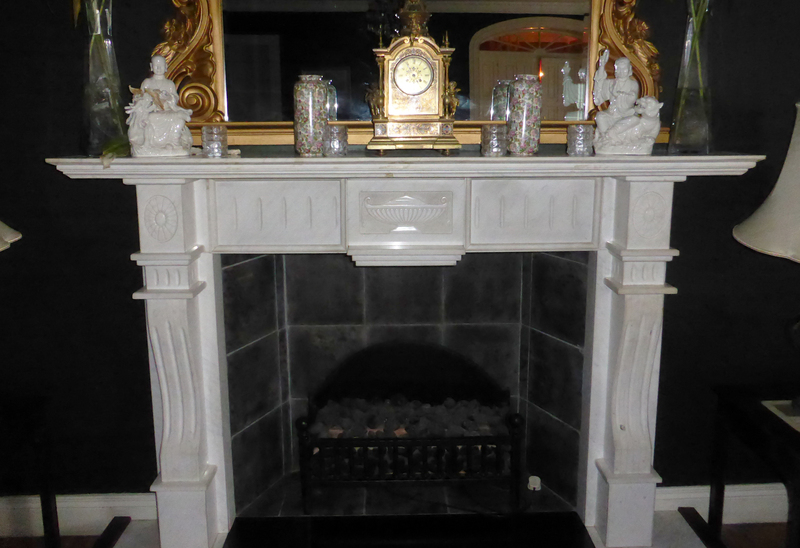 It is apparent that a good deal of redecoration was undertaken in the nineteenth-century. 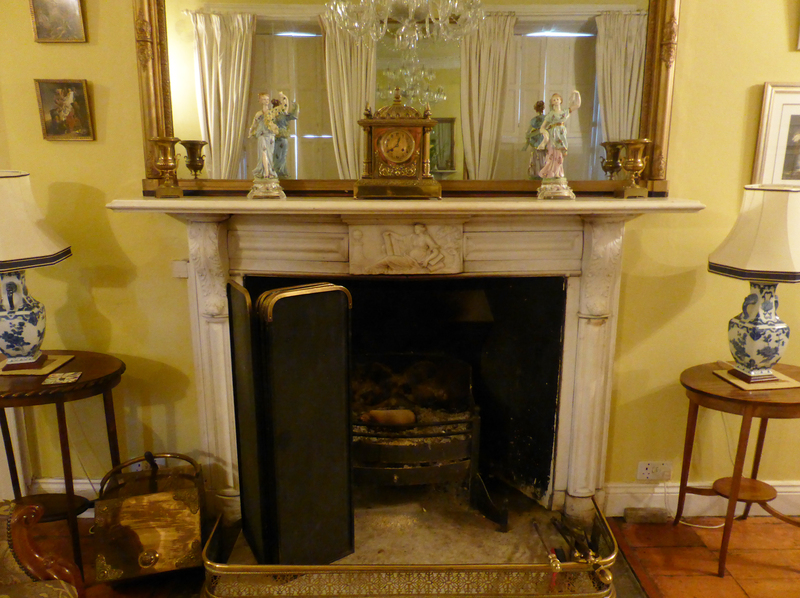 Externally, over-mantles were added above the ground floor windows and the interiors in the drawing rooms redecorated. 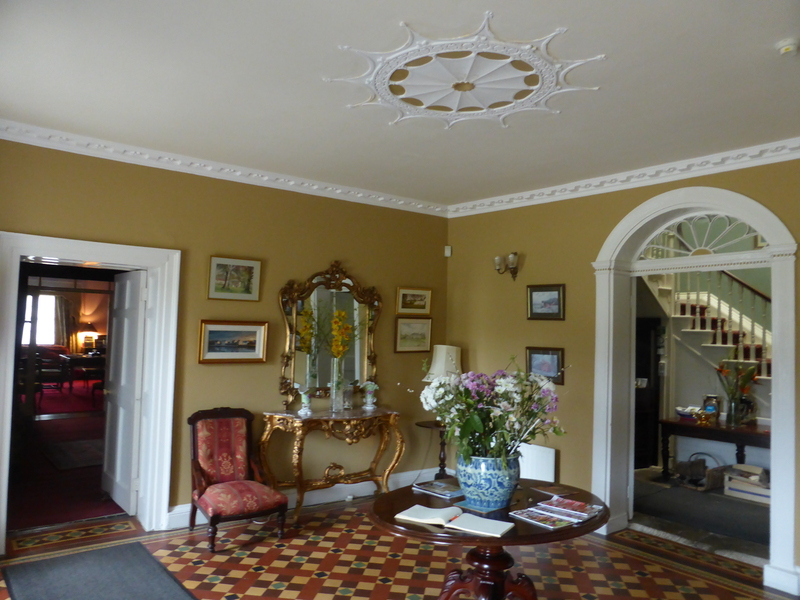 New chimneypieces were installed in these rooms, window shutters and architraves were replaced, and the ceilings were adorned with pre-moulded lime plaster ornamentation. 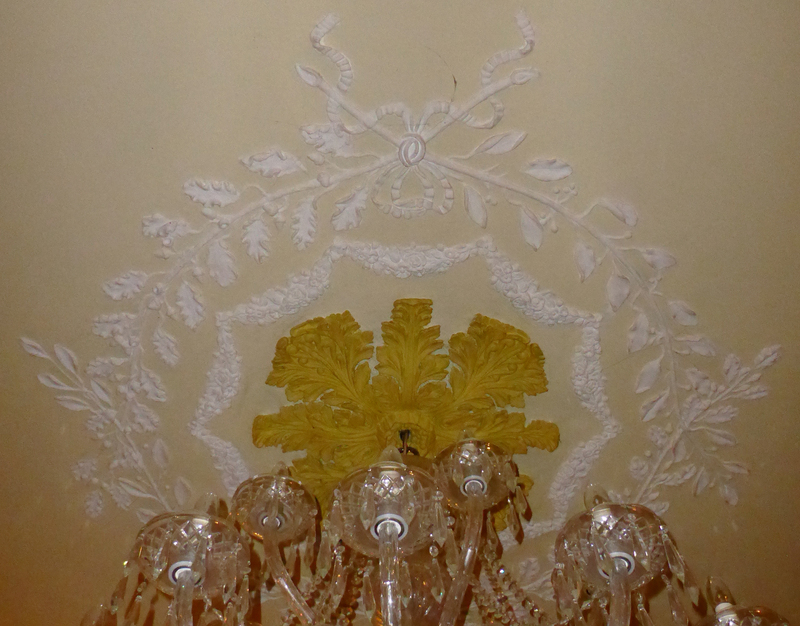 The ceiling decoration in the front drawing room is composed of a border or repeating panels embellished with abutting floral festoons tied to the ceiling by ribbon. 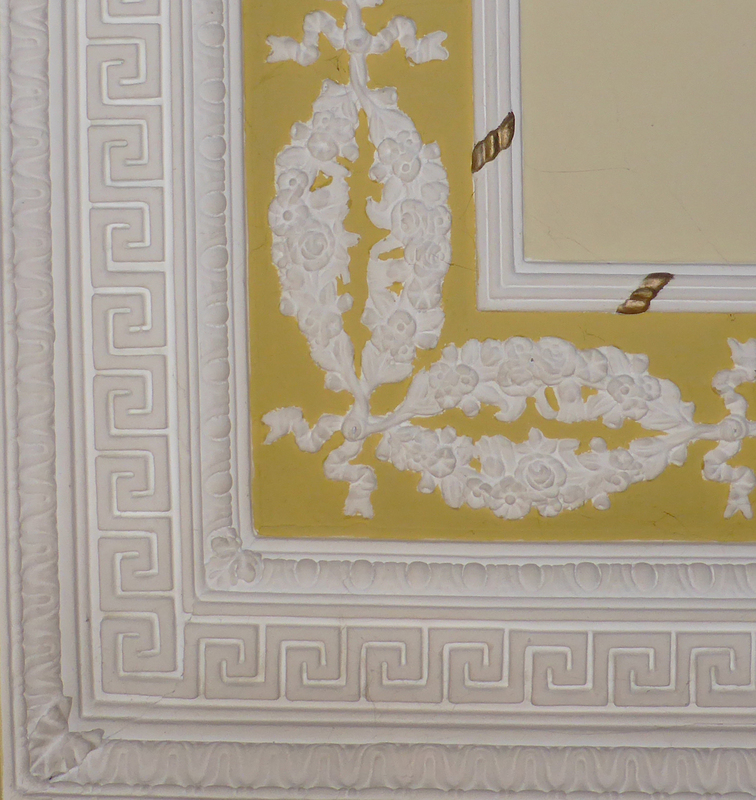 This is framed within an egg-and-dart, Greek key, and bell flower succession of mouldings to the outside, and a ribboned fascia on the inside. The centrepiece is an acanthus palmette surrounded by a floral festoon and a bay leaf border. 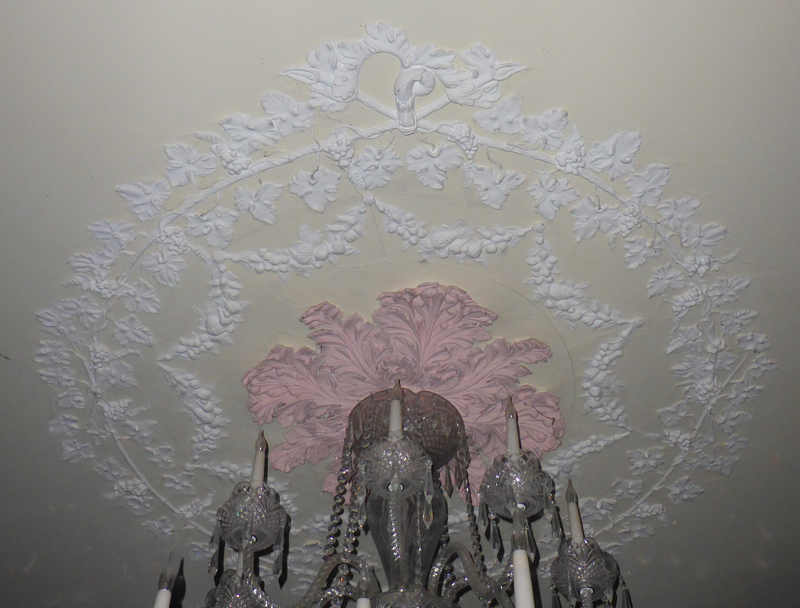 Given the subject contained within the decoration of the drawing room to the rear, it may have originally functioned as a dining room. 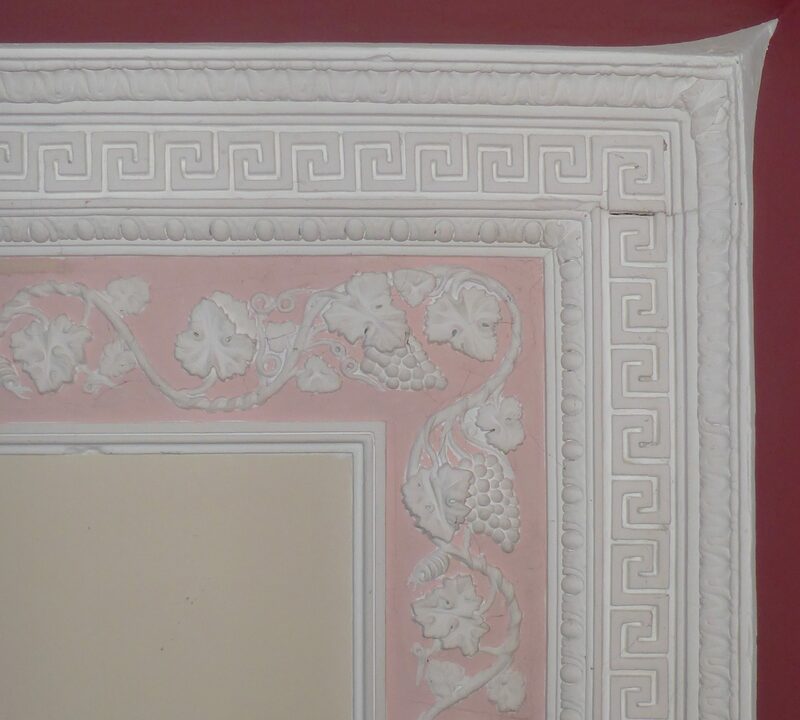 The ceiling frame contains a grape vine presented within the aforementioned series of mouldings. 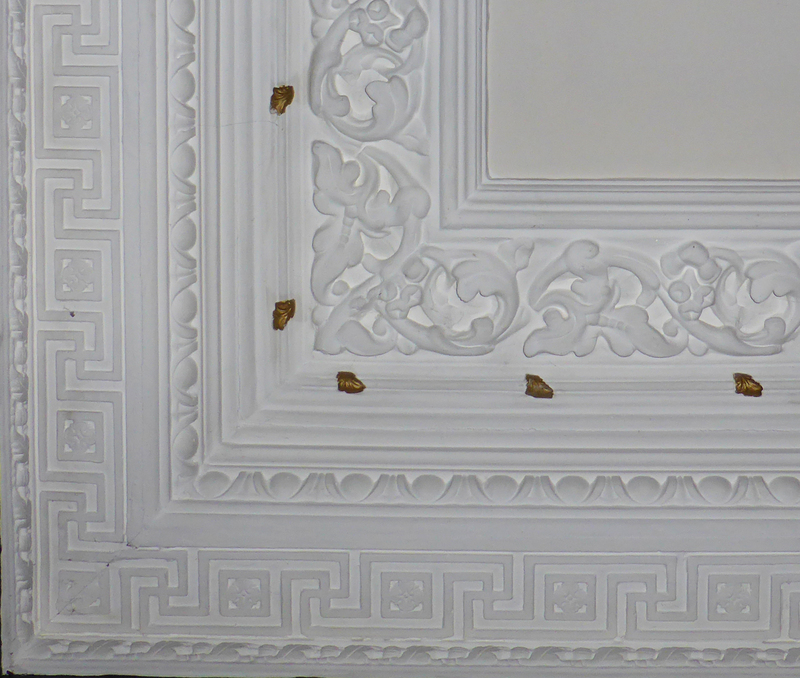 This Bacchanalian theme is continued in the ceiling centrepiece where the grapevine encircles an acanthus palmette. 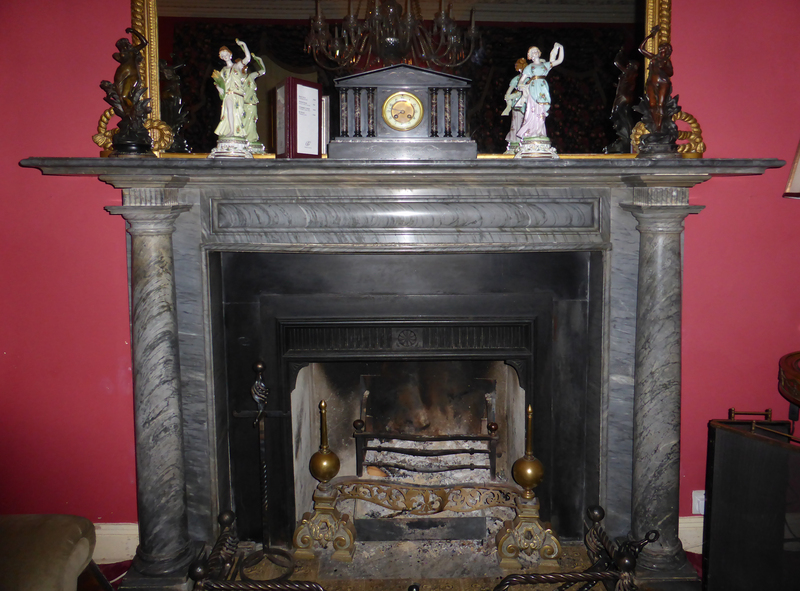 The chimneypiece in this room is of the Doric order, with fluted dosseret below the mantelpiece. Further additions were constructed in more recent times to the north and west of the house. 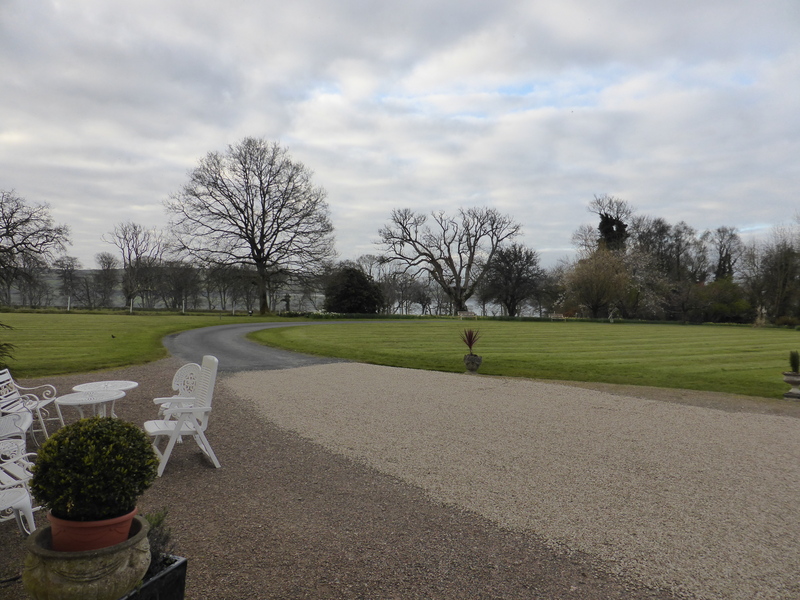 As the premises is now being used as a hotel, the stables were converted to suit guest accommodation. The north extension has been finished in good taste and in a manner conforming to the suite of drawing rooms. 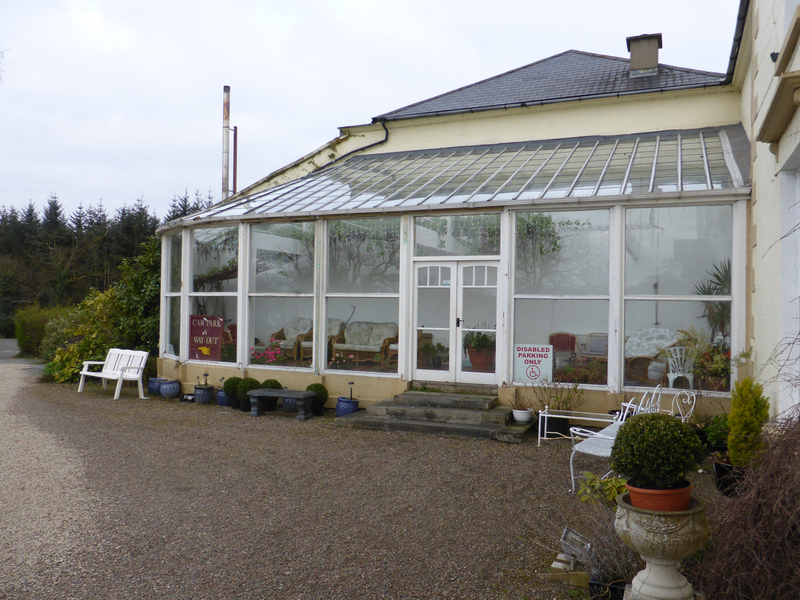 It is not clear when the orangery to the west of the front door was constructed; as a structure it may be old, but the large plate glass windows are certainly a modern installation. The grounds contain a walled garden with the surrounding ‘famine’ wall constructed of local material in order to give work to the locals during that turbulent time. "A world that may save the tears of some future Alexander."